Celebrated the world over as a haven of rest and relaxation, Bali’s tropical gardens and endless beaches are about as far away from the office as you could hope to get. Since it’s an enriching and calming getaway you’re after, you can team a morning listening to the waves by the beach with a visit to one of the island’s local events, such as the thought-provoking Ubud Writers and Readers Festival. Nestled amongst four hectares of lush garden, Fairmont Sanur Beach Bali’s 120 luxurious suites and villas stretch along the golden sands of Bali’s southeastern coast. 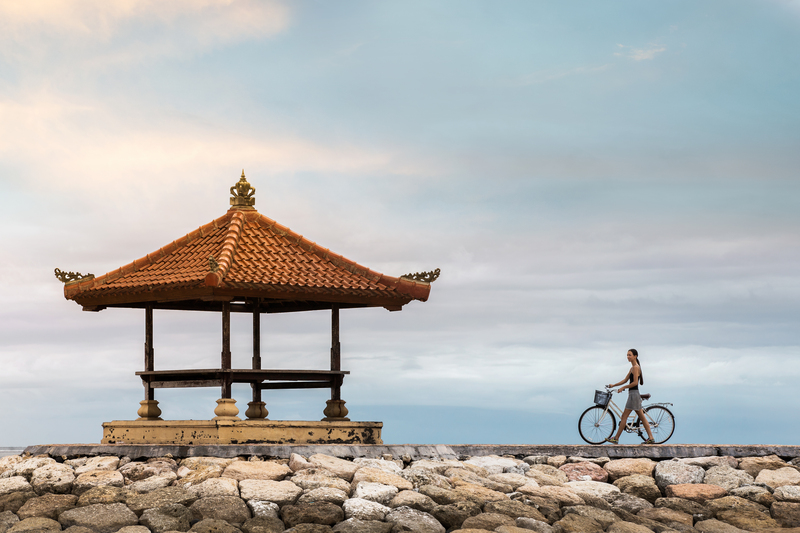 Originally a fishing village, Sanur has emerged in recent decades as a cultural and artistic hub, attracting scores of artists and intellectuals from around the world. There’s a lot more to Bali than beaches and surfing. Immerse yourself in the island's rich and vibrant local culture, starting with a stroll to Sanur’s traditional market. If you’re a morning person and can time it right, watch the sunrise on your 20-minute walk along the beachfront to the market. Let the hustle and bustle of the locals guide you to the entrance, and ready yourself for a taste of the "real" Bali. Feel part of the color and pace of local life in a market brimming with dried fish and flavorful pastes, vegetables, spices and flowers. When the drooling begins, seek out a paper cone of nasi campur, an Indonesian mixed rice dish with meat or vegetables. (Just beware of the local penchant for chili!). Once you return with bags of lucky finds, top off your breakfast with some fresh fruit and coffee by the pool at Fairmont’s Nyala Beach Club and Grill. If cooking’s your thing, embark on a culinary adventure with Fairmont Sanur Beach’s executive chef, who will accompany you to the market to buy all the fresh ingredients you need for a cooking class and peaceful meal in the hotel gardens. Pair your healthy fare with a visit to the hotel spa, where you can stretch and strengthen in the dedicated Pilates room. From beachfront to mountaintop, Indonesia’s countless islands are home to more than 250 million people. One of the best ways to experience its spectacular social and geographical diversity is on a bike ride through Bali's highlands. 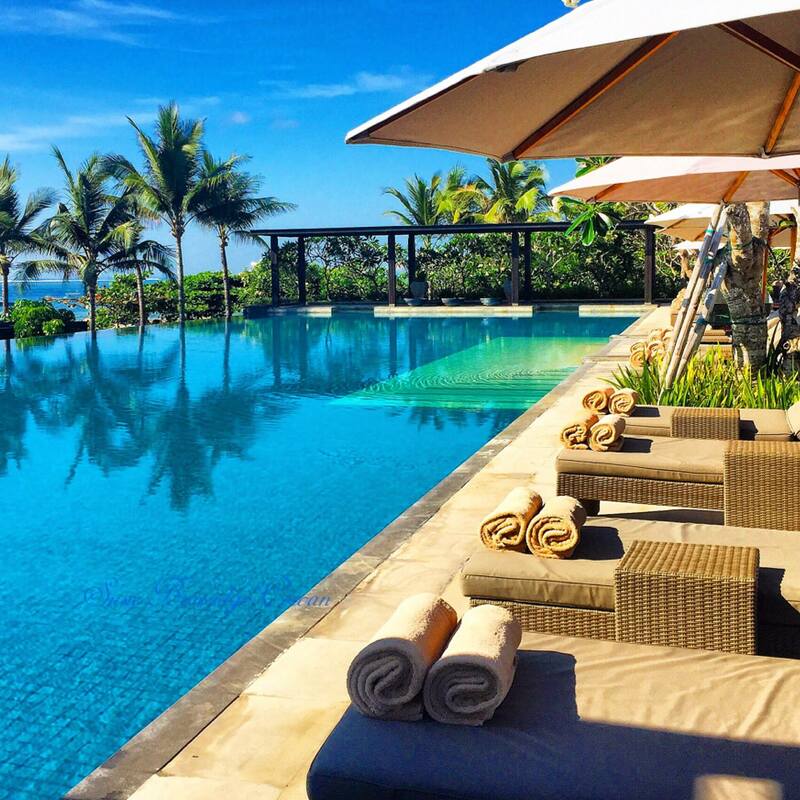 Fairmont Sanur Beach Bali can organize and book day trips for your party with hotel pickups. And the added bonus of biking? Many companies offer discounts to guests staying in Sanur, as a thanks for keeping local drivers happy with a traffic-jam-free area. Most tours start or finish with a light meal and cool drinks in Penelokan, overlooking the active Mt. Batur. Make sure you come camera-ready, as the views of the mountain and Crater Lake make for some of the most dramatic on the island. 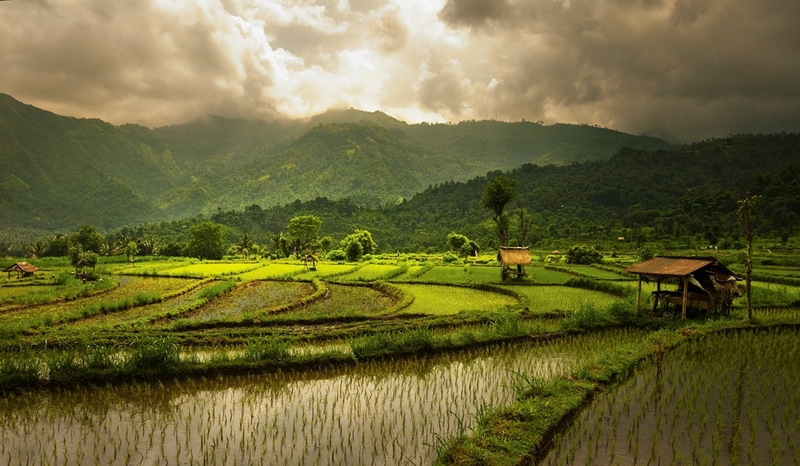 You cycle through rice paddies and visit local villages and temples, gaining unique insight into agricultural life, still Indonesia’s biggest employer. 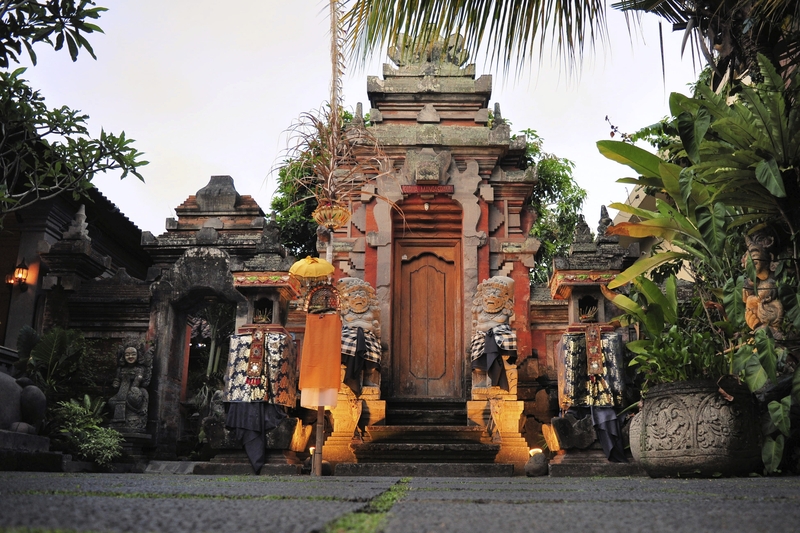 For a glimpse into Bali’s rich cultural life, finish your tour in Ubud. Your concierge can arrange to book you in for a Balinese massage or spa treatment at one of Ubud's most prestigious retreats. 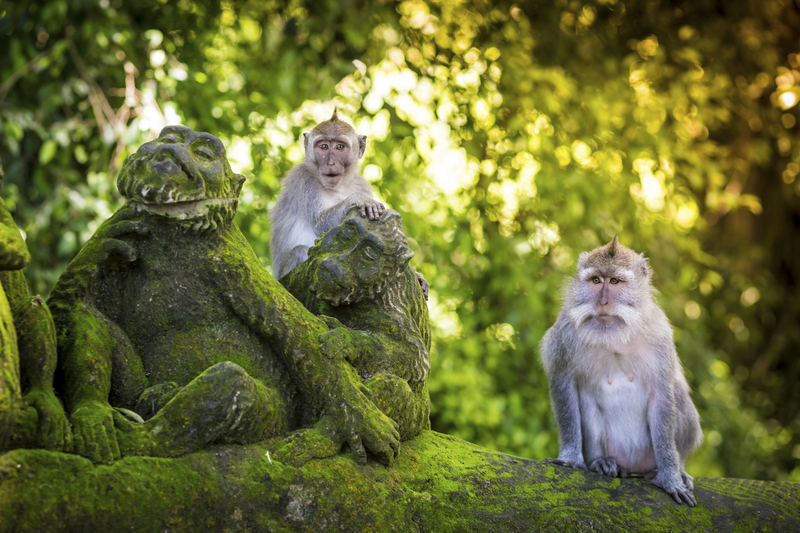 You can also pay a visit to nearby nature reserve Monkey Forest Park, where you can explore its ancient Hindu temple complex (and yes, feed a monkey or ten). Leading back to the main town center, Monkey Forest Road is lined with restaurants, resorts and boutiques teeming with textiles and curios. For the sustainable shopper, stop into Threads of Life, a fair-trade business fighting poverty in rural Indonesia. All textiles and baskets are made with local materials by women from independent cooperatives. They're working to reclaim the skills of their ancestors while building financial security. Threads of Life also runs classes exploring the history and traditional uses of textiles in Indonesia, including an in-depth look at the ikat dyeing process and the use of natural dyes. Having soaked up the sights and sounds of Bali, you're just about due for dinner and drinks. For an authentic dining experience, flag down a cab and head right on back to your hotel. Fairmont Sanur Beach’s Layang Layang Restaurant (Indonesian for "kite flying") serves traditional dishes with a focus on local ingredients. Try out some Indonesian favourites like sup buntut (oxtail soup), or pesan pe pasih (grilled fish in banana leaf). Seafood is freshly caught and prepared onsite, and Western options are available for kids. If you’re lucky enough to be dining on a Tuesday or Friday, enjoy the game-changing Balinese suckling pig buffet. Bali’s dry season is from May to September, with average temperatures around 30ºC during the day. A July visit coincides with the annual Bali Kite Festival on Padang Galak Beach, just north of Sanur, where hundreds of teams from different villages fly traditional Balinese kites. While competition (and inter-village rivalries!) can be fierce, the festival has religious origins, and the vibe is one of celebration, with cold beer and street food aplenty. The festival is a short drive from Fairmont Sanur Beach Bali, and promises both to awaken your childhood memories and to send you home again with some colorful new ones. Laura Maitland has been a professional travel writer for luxury travel groups for many years. Her family business is one of the few Virtuoso agents in Australia. She has written about many destinations in Europe, Africa and Southeast Asia in addition to articles about luxury cruises.